RBI Baseball is a family owned business. We are not a franchise. 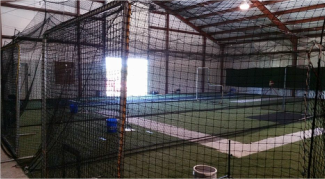 RBI started in 2015 because there was no indoor facility in northern Benton county for teams to practice. It was started FOR THE KIDS. We continue to grow so we can serve more kids; kids with our same love of the game that want to excel and be successful at the next level. We have teams for various age groups so as each athlete grows they can grow within one organization and have consistency in learning THE GREATEST GAME EVER PLAYED! I hope you guys made it back to Bentonville safe and sound. I wanted to tell you how much I enjoyed umpiring your games this past weekend in Southaven! Over the years I have seen a gradual decline in character and sportsmanship from coaches, players, and fans throughout all of youth sports, as I am sure you have too. So for me, it's a real pleasure to see a team/organization that conducts and carries itself with class and integrity from the moment they enter the ballpark. From the coaching staff and the players, to the parents and fans, you guys really exhibited the kind of character and class that makes youth baseball/sports fun for a guy like me to be a part of. As a high school coach, it's very promising to know that there are still good coaches out there that coach for the right reasons and teach kids the right way! I wish you and the RBI Baseball Organization nothing but the best in the future. Keep up the good work my friend! God Bless! I just wanted t let you know what a great group of kids you had at our hotel. We have a lot of teams cone and go. It isn't often that my breakfast staff hunts me down to tell me what a great ball team of kids we hosted. Both my front desk clerk, housman and breakfast attendant said your kids were excellent. They were very polite and mannerly. I just wanted to share this with you and your parents. You can be proud of your travel group. Please tell your team what a great impression they left on us. 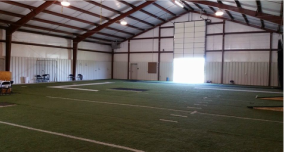 "Great coaches, very knowledgeable and work wonderfully with kids!" Ron played baseball for Bentonville in High School and Legion, and college baseball. He has been coaching baseball for more than 20 years. Ron has coached 2 teams to 2 different USSSA World Series Championships! Brandt played baseball for Bentonville in High School and Legion. He played college baseball at Rogers State University and independent professional baseball. In high school he was pitcher of the year, All-Conference and All-State. His senior year of college he was an All-American and set 7 school records. He still holds 2 All-time single season records for RSU with 39 Stolen Bases and 65 Runs Scored. 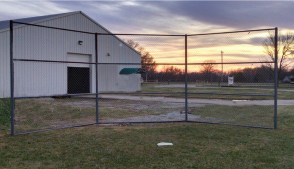 Gunner played baseball for Bentonville High School​. He was a member of the 2015 7A ARKANSAS STATE CHAMPION team. His Sr. year he was given the Tiger Award. Gunner is now a certified Fire Fighter and continuing his education to become and EMT and earn his degree in Fire Science. Dan played high school baseball for Franklin High School in Massachusetts​. He played college baseball for Massasoit Community College and Rochester College where he was a college baseball All-American and USCAA All-Tournament team. He finished his college baseball career at He finished his college career at Florida Southern College. Post-college, Danny was invited to the Detroit Tigers Prospect Fall League and play Independent professional baseball. Dan has been coaching youth baseball for more than 10 years.